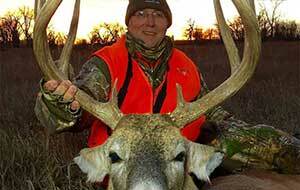 Buckmasters - "My Perfect Deer Hunt"
Jackie is in Kansas for this 2009 classic hunt. 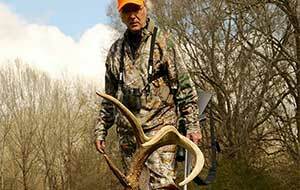 Mike explains the differences between the Buckmasters scoring system and the Boone & Crockett scoring system. Mike explains the techniques to measuring whitetail antlers. Jackie is in Montana for this classic bow hunt. Jackie Bushman gives you another great tip when hunting. Ragu Bolognese, a yummy recipe from Jackie Bushman. Jackie Bushman explains more about boresighting. But, you still have to go to the range to sight it in. 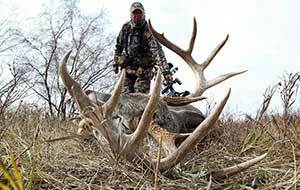 Mike gives you tips on how to score irregular deer. Another classic hunt with Jackie Bushman. Mike talks to us about taxidermy and some of the questions revolved around it.